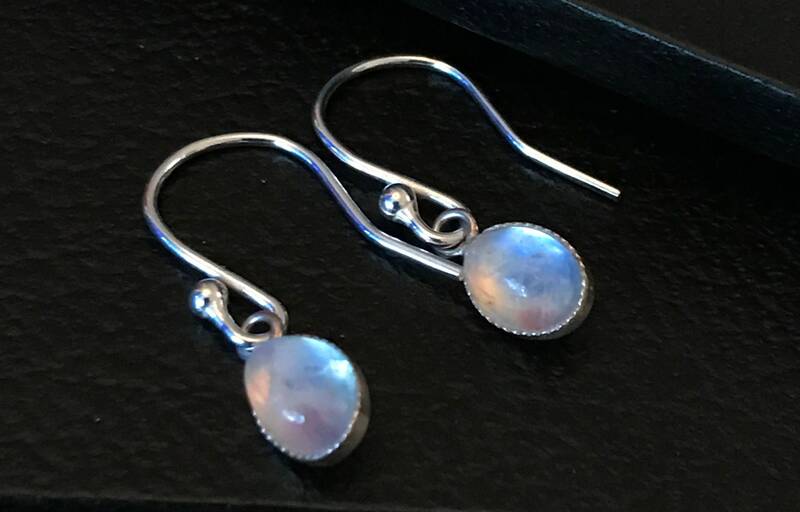 These lovely little moonstones have a wonderful luminosity to them which catches the light, and the eye, beautifully. 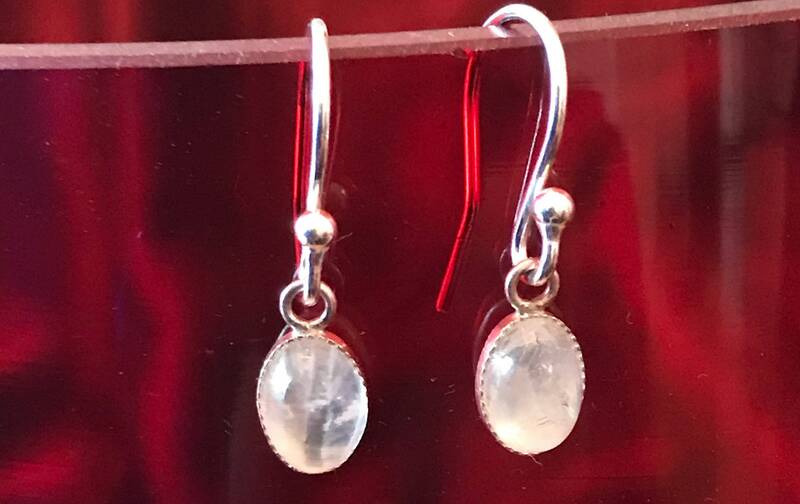 The stone is 8 x 5mm set in Sterling Silver with Sterling Silver hook wire fastenings. 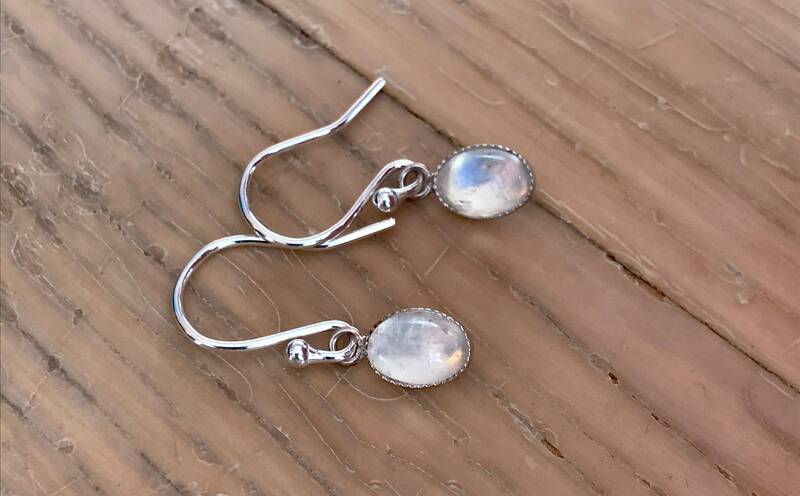 Overall drop length is 10mm which includes ring bail. 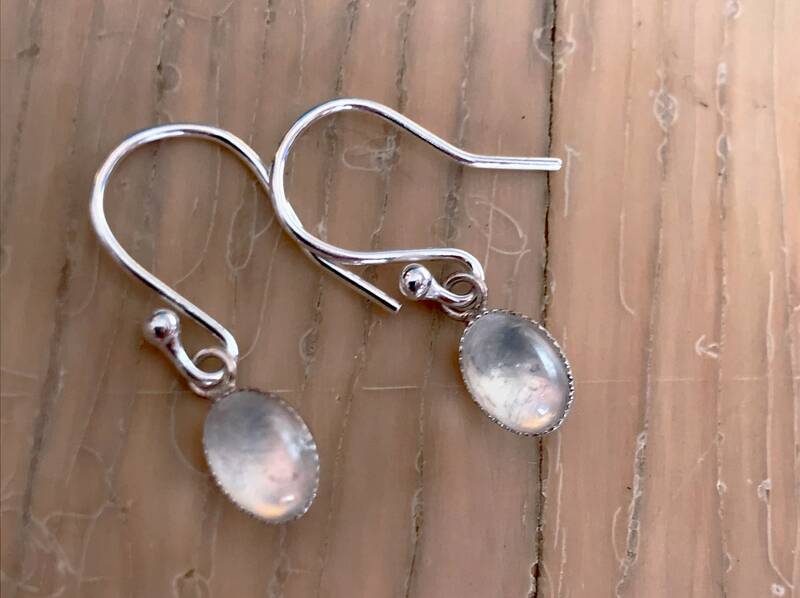 As with all earrings the drop length given does not include the ear wire portion.